Lulu Hassan welcomes baby number 3! Unlike many celebrities who like parading their pregnancies on social media; Citizen TV’s Lulu Hassan has managed to keep hers on the low until the final trimester. 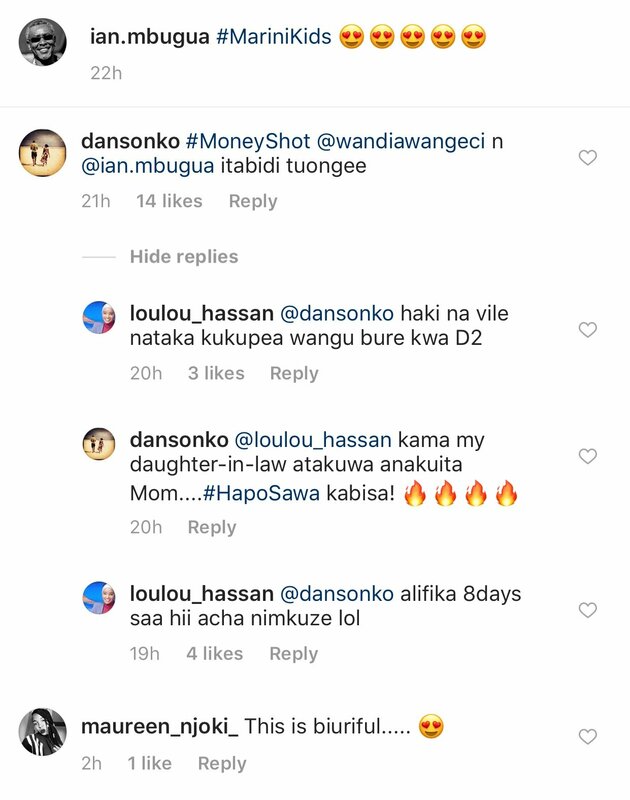 If we are not wrong, the lady welcomed a baby girl 8 days ago judging from a comment she left under Ian Mbugua’s photo while conversing with Dan Sonko. The two media personalities where joking about getting Lulu Hassan’s baby on board with the Marini kids projects; and that is when Lulu opened up about her baby. Well judging from her absence on Citizen TV, we can now confirm that she is indeed on maternity leave. After also being blessed with two handsome baby boys, Lulu has finally added a baby girl and we can’t wait to see her soon.